A short while ago, a new donkey arrived at the “Paraíso del Burro”. Her name is Freida and she came from a loving family near Aviles, one of the main cities of Asturias. She is a rather shy lady and is settling in slowly, getting to know her donkey friends. Of course she probably hasn’t seen so many of her own species in one place before now. As is often the case here in Asturias, her elderly owners could no longer manage to look after her and they were sad to see her go. 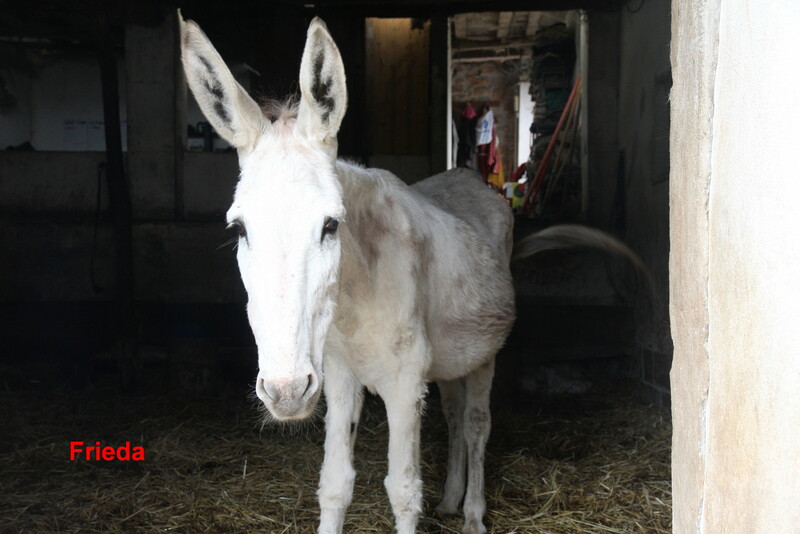 Like many donkeys of her age, Frieda has arthritis in her legs and her hooves will also need some attention. To me, she looks very much like Flora and she has a sweet and surprised look about her. What do you think?